Meadow Brook Estates is a 55+ community located in Oxford, Connecticut. This community provides its residents with well-crafted single-family and attached homes on a new and resale basis. Residents have time to enjoy themselves each and everyday due to the low-maintenance lifestyle in Meadow Brook Estates. Situated in the Waterbury area, residents never have to travel too far outside the community to find what they need. Although there is no community clubhouse, residents enjoy all of the natural open space as if it were their very own backyard. The walking and biking trails that wind through the community offer a great way to get outside and stay in shape. The numerous gazebos spread across the community offer a certain charm to this quaint community. Meadow Brook Estates was started by Haynes Development in 2003. At completion this community will consist of 250 single-family and attached homes. Haynes Development offers a variety of floor plans that can be built as attached or detached homes. The Belmont Series offers three floor plans ranging in size from 1,270 to 2,120 square feet of living space with one to two bedrooms, one-and-a-half to two-and-a-half bathrooms, and an attached two-car garage. Each model offers single-level living with second-floor options. All models offer master bedrooms on the first-floor with open floor plans perfect for active adults. The Bryant Series models come as a single-level ranch home or a two-floor residence. These models range from 1,300 to 1,900 square feet of living space. They have two or three bedrooms, two or three bathrooms, and an attached two-car garage. The Walden Series offers three models with two to three bedrooms, two to three bathrooms, and an attached two-car garage with 1,390 to 2,270 square feet of living space. These models also offer first-floor living with optional second floors that have an extra bedroom and loft spaces. Four seasons rooms are great for entertaining guests or reading the morning paper. The Grafton series offers only one floor plan. This two-story floor plan offers three bedrooms, three bathrooms, and an attached two-car garage within 2,355 square feet of living space. Eat-in kitchens and tons of storage space make this model popular among homebuyers looking for a little more space. Homeowners of Meadow Brook Estates enjoy a low-maintenance lifestyle. Residents pay an annual homeowners' association fee which covers the general maintenance of the community grounds as well as lawn care in the summer, snow removal in the winter, and trash removal all year long. Due to the low-maintenance lifestyle residents have more time to explore hobbies and relax with friends and family. Located in Oxford, Connecticut, Meadow Brook Estates is situated in a convenient location for shopping, dining, and medical services. Those looking for both social and recreational activities don't have to search far. Southford Falls State Park is nearby and offers 10 miles of walking and biking trails. During the summer months residents enjoy the great golf in the area as well as taking day trips south to the scenic coastal shorelines. In the winter months you can find opportunities to ski less than two hours away. With great low-maintenance homes and so much going on in and around the community there is no wonder why Meadow Brook Estates is a must see for Connecticut active adults. There are plenty of activities available in Meadow Brook Estates. Here is a sample of some of the clubs, activities and classes offered here. The Belmont Series offers three floor plans ranging in size from 1,270 to 2,120 square feet of living space with one to two bedrooms, one-and-a-half to two-and-a-half bathrooms, and an attached two-car garage. Each model offers single-level living with second-floor options. All models offer master bedrooms on the first-floor with open floor plans perfect for active adults. 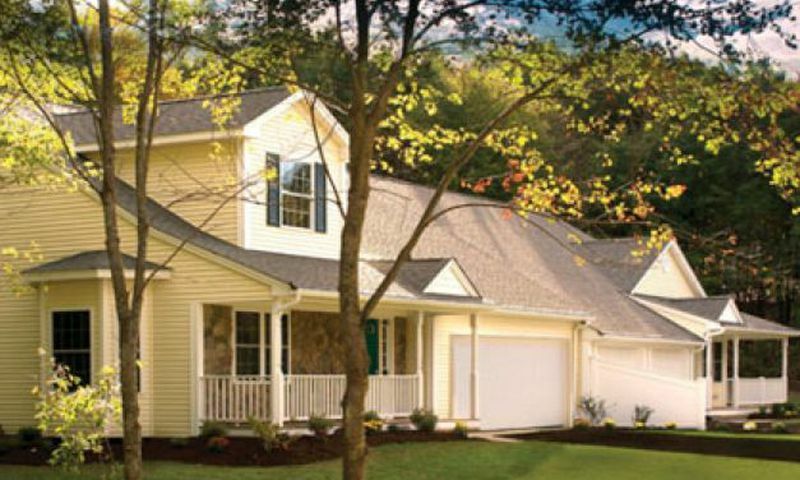 The Bryant model comes as a single-level ranch home or a two-floor residence. These models range from 1,300 to 1,900 square feet of living space. They have two or three bedrooms, two or three bathrooms, and an attached two-car garage. The Walden Series offers three models with two to three bedrooms, two to three bathrooms, and an attached two-car garage with 1,390 to 2,270 square feet of living space. These models also offer first floor living with optional second floors that have an extra bedroom and loft spaces. Four seasons rooms are great for entertaining guests or reading the morning paper. 55places.com is not affiliated with the developer(s) or homeowners association of Meadow Brook Estates. The information you submit is distributed to a 55places.com Partner Agent, who is a licensed real estate agent. The information regarding Meadow Brook Estates has not been verified or approved by the developer or homeowners association. Please verify all information prior to purchasing. 55places.com is not responsible for any errors regarding the information displayed on this website.